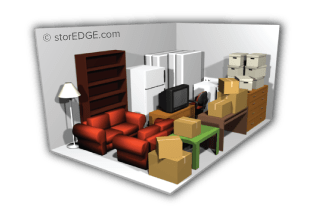 The self storage calculator below assists you as you learn which unit size is best for you. 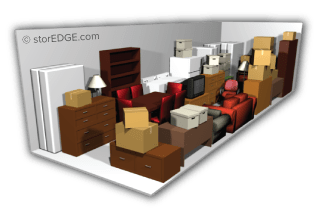 Simply choose the belongings that you plan on storing and watch as the tool shows you a visual representation of the perfect unit for you. 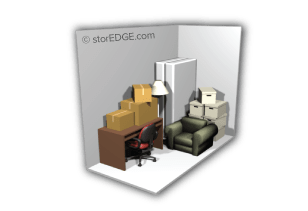 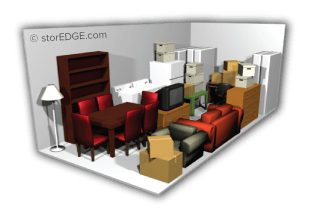 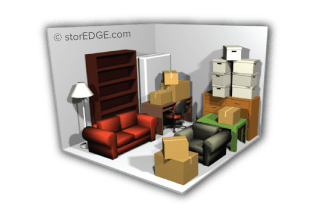 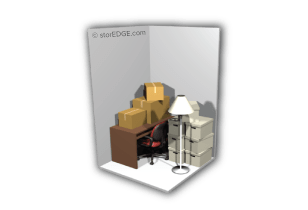 This tool allows you to find the right unit size and to get an idea of how you can best arrange your storage unit to maximize space. 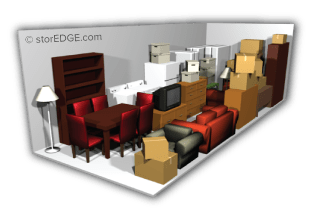 Once you've determined which unit size is best for you, contact us and we'll help you get started - we’re eager to help!